and take your venue to the next level! 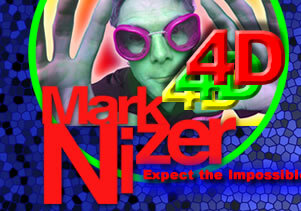 free MARK NIZER™ 3D Glasses and Promo. You can also watch a online version of Marks 3D promo HERE and his full promo video HERE. If you are not a buyer, you can purchase many of these items at our online store.